Hurricane alone at Brothers Island. 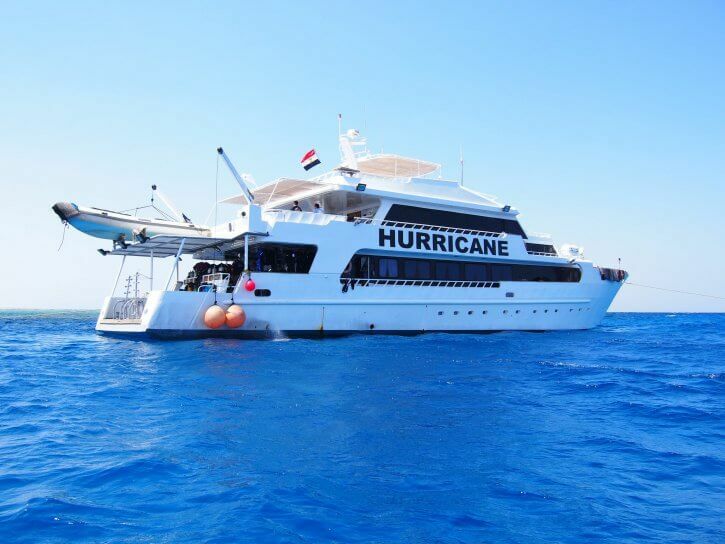 If you at any time whilst reading this text feel that you want to go and experience the Southern Red sea inboard Hurricane, please call our Travel team on 0800 072 8221 or visit Hurricanes page by clicking here. You will not regret it. Over the years I have been blessed to been able to travel to a lot of really amazing diving destinations around the world. But somehow, I always keep finding myself dreaming myself back to the Red sea, especially the southern parts. So, when the opportunity came to join Hurricane on her first trip (Shark Quest) after spending most of the winter in dry dock I was very keen to come on board. Something that turned out to be a very good move. On big benefit of flying direct to Marsa Alam is that the transfer from the plane to the boat is faster than anywhere else. Most of the time it’s just your flight arriving at that time, which means that bags and customs go very fast. Often it does not take longer than 20 minutes from that you land until your way to the transfer bus, then it’s just a 5 min bus ride and you at the boat. No long waits at the airport, no long transfer through the dessert, it’s just nice and easy. 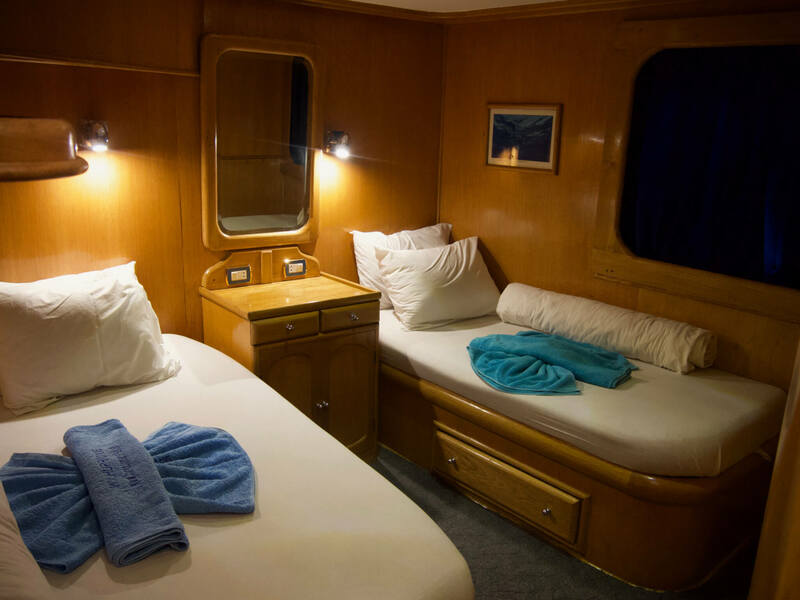 Hurricane has always been one of my favourite liveaboards, simply because she’s got a steel hull and is well designed. It might sounds simple demands but there are not many boats like her out there. As I mentioned the Hurricane is just back from a major refit and apart from being in tip top shape, it’s also gone through a lot of small design changes. The steps to the dive deck has been widened, the air cons in the dining area has been moved from the ceiling to the floor, new carpet, new curtains, new seats and beanbags on the upper deck, and more. All this has been done without losing the character of the boat, rather enhance it. 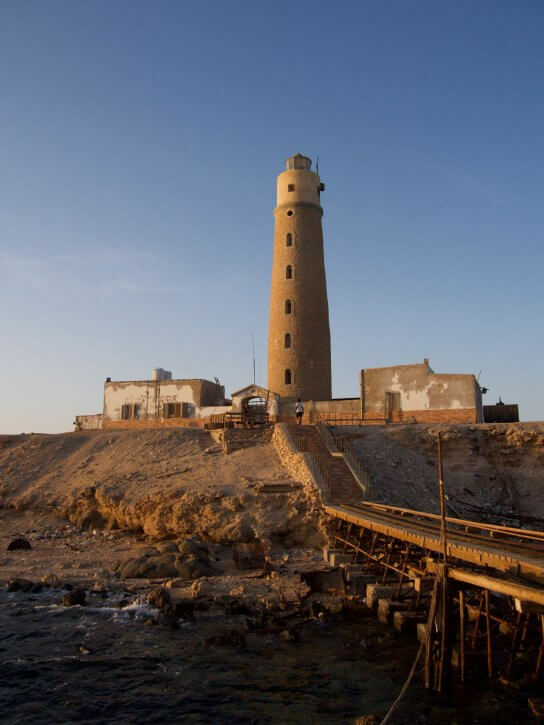 First night was spent in harbour as usually so that everybody can get their scuba equipment set up, have the boat briefing, familiarise themselves with the boat and potter around Port Ghalib if they wish. Especailally if you land in the evening it’s very nice to have this time to prepare before heading out to sea. Early next morning we headed straight out to Ras Torombe to do check up dive, and explore the reef a little bit. Here there was also time to do night dive for anyone who fancied that. If you have not dived Ras Torombe before it’s a very nice little reef where the dugons occationally visit, so well worth a dive just to have chance to see that. The reason for us staying is Ras Torombe the whole day was that we wanted to be at the Brother Islands the next day, and if you do that crossing at night nobody misses any dives. I was a little bit nervous about the crossing from mainland to Brothers Islands because last time I did it, it was in a smaller wooden hull liveaboard and I did get quite sea sick. But this time thanks to Hurricanes steel hull my experience was very different. Basically, a steel hull boat cuts through the water whilst a wooden boat floats on top of it. This makes a massive difference when it comes to stability and if you like me can get a bit sea sick, then this is a big deal. 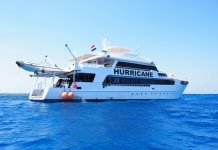 Especially in the southern Red Sea and itineraries like Shark quest and Simply the Best where there are a lot of long crossings. 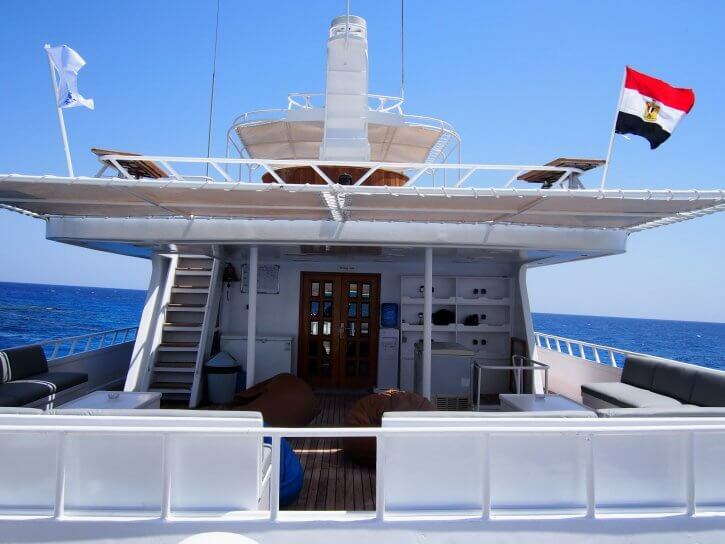 If you’re going to the southern Red Sea, make sure it’s in a steel hull Liveaboard. 11 is closest to the engine room, which means a bit of noise when the boat is moving, but since the engines are heavy it also means that it’s the most stable part of the boat. I had two water bottles on top of my bedside dresser, none of them even moved during the crossing. That is very impressive. Day two I woke up early and I could not believe our luck because when I got to the deck, it turned out that we were the only boat not just on little brother, but on the whole of the brother islands. That is very very rare, and it gave it all a more serene feel to it. Both islands were drenched in sunlight surrounded by flat crystal-clear water. The morning dive on little brother was a dive that I had been looking forward to for many years. This because whilst I had dived Big Brother, I had never ever dived its little brother. 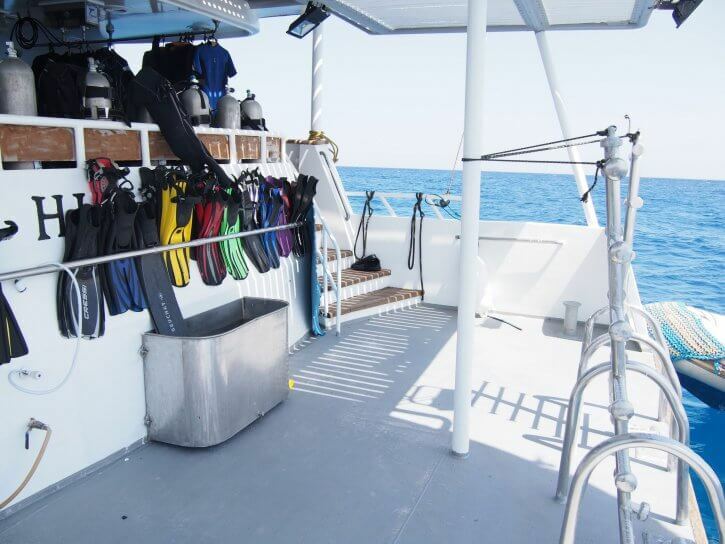 So it was with great excitement that I got my equipment ready and prepared for the dive. We had moored at the southern tip of Little brother and the first dive of the day we were dropped just east of the northern tip and then drifted back to the boat. I have been waiting a long time to do this dive and Little brother did not disappoint. Apart from the absolutely stunning walls we saw, we had a hammer head, an Ocean White tip, some reef sharks a few Barracudas and an very long and possibly pregnant dolphin. 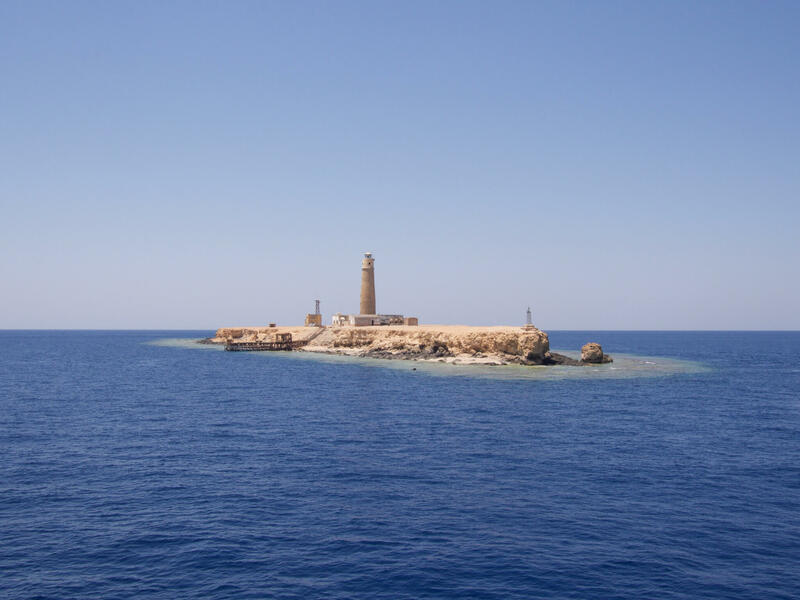 We wanted great diving and the Red Sea was already delivering big time. After breakfast it was time to once again be dropped of at the top of little brother but this time to drift on the western side. Whilst we “only” saw a few reef sharks on this dive the wall was absolutely amazing, it was drenched in sunlight brining colours and life to every little piece of the wall. The hardest part of this dive was to choose whether to look at the amazing wall or to look out into the blue trying to spot the bigger sharks. While I wanted to look for shark I could just not take my eyes of a wall this impressive. After lunch we moved to Big brother to dive the southern Plateau. Last time I did this dive we saw a really nice White tip that swam around us for ages. 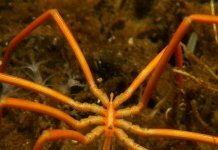 It was such a magnificent dive that even now a few years later I can still remember it in detail. 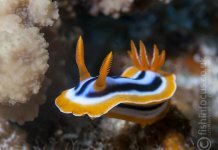 I was really excited to get the chance to do this dive site again. Just as we were about to enter the water on the third dive my over designed inflator broke down, in a very bad way. So bad that I was left with no other option than to call the dive and go back to my seat on the dive deck and take all my kit off, then spending an hour watching the other divers bubbles whilst they enjoyed an apparently fantastic shark dive. Just before sunset we got permission to go onto big brother island. On my previous tripmany years ago, we were not allowed to do this, so this time I jumped on the opportunity. It’s honestly not much to see but still nice to walk to the top of the light house and speak to the guards. As much as I love these islands I do feel very sorry for the guys stationed here. It must be a very lonely place. Once thing that I (and most people) really enjoy about the southern itineraries is that they are far away from internet and phone coverage. At first in the beginning it’s a bit strange but it does help you being in the moment an enjoy this lovely part of the world for what it really is. Liveaboard trips to the southern Red sea offered digital detox before the term was even invented and it’s a privilege and help you enjoy what a liveaboard is all about, diving, relaxation and just enjoying a good time together with other divers. During the night a few more boat had arrived at both big and little brother. The currents and waves had also increased. 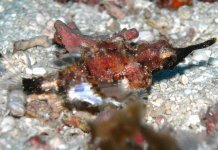 We were once again given the option to dive on either the south plateau or the northern plateau and do the Numebia wreck. 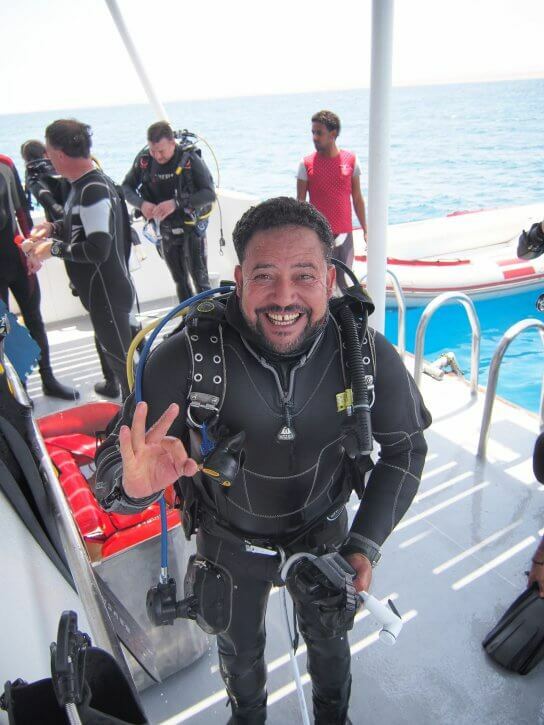 Yasser, a happy dive guide onboard Hurricane. I choose to go to the Numebia together with our dive guide Yasser and one more diver. It that was a good choice. We were dropped off along the reef a bit south of the wreck, and this gave us the opportunity to dive one of my favourite walls in the red sea. And to my astonishment is was even more stunning than I remembered from my last visit. In true brothers island style it was packed with life. Absolutely stunning. 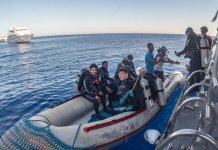 The Numebia is a classic Red Sea wreck and it was unusually not hit by hardly any current, this gave us the opportunity to look around the wreck and to see a few more details. But, we could not stay too long because next on our list was drifting along the outside part of Big brother, to look for sharks. Unfortunately no sharks this time, but having time to give the Numebia an extra long look was really really nice. Since the itinerary is called shark quest, we decided to leave Big Brother and head back to Little borther where we had had better luck on the shark front. Unfortunately I had to skip the third dive of the day. 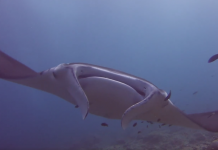 It was a shame because on this dive they saw more Hammerheads and more oceanic white tips. After this we said good bye to the Brothers for this time and set sail towards Daedalous. Next morning when I looked out of my port hole I could see an almost flat sea with the Daedalous reef and light house in the middle. To me Daedalous had been synonymous with great shark diving but also waves so to dive it with flat sea was a nice treat. We went out early in hope to see Hammerheads but unfortunately they had escaped out in the blue this time. 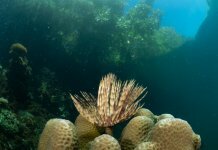 But thanks to our early morning we could enjoy the eastern part of the reef perfectly lit up by the morning sun and for a wall enthusiast like myself that was a wonderful second part of the dive. 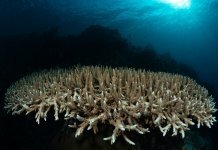 Nothings beats a southern red sea reef wall covered in antheas, there is just no tapestry like it. 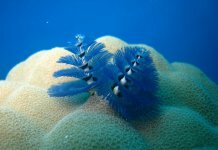 Second dive started at the anemone city. Then we slowly drifted towards the southern plateau where the Hurricane was moored. 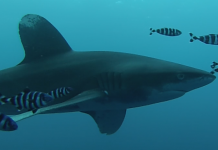 Apart from seeing the anemone city (which I strangely enough can’t remember ever have dived before) we had high hopes of seeing an Oceanic white tip that had been lingering around the boat just before se we off to dive. 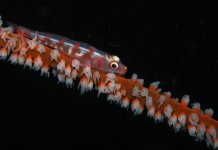 But unfortunately it decided to leave just before we came back, we did however have a wonderful time slowly swimming by another wall packed with life including some big Barracudas. The third dive we were all desperate to see sharks again, so we headed to the northern plateau where Hammerheads had been seen by the other group during the midday dive. Unfortunately, they were nowhere to be seen this time. For someone who has not been on a southern liveaboard the tranquillity of being out at sea with no TV or Internet is hard to describe. But there is something very fulfilling and calming with being on boat. Just lying in the sun, with the soft sound of the waves in the background. Add to that that you have someone who tells you when to dive and cooks all your food, you’re in for a quite epic time. The first thing I noticed then I woke up the next day was that a few more boats had arrived. 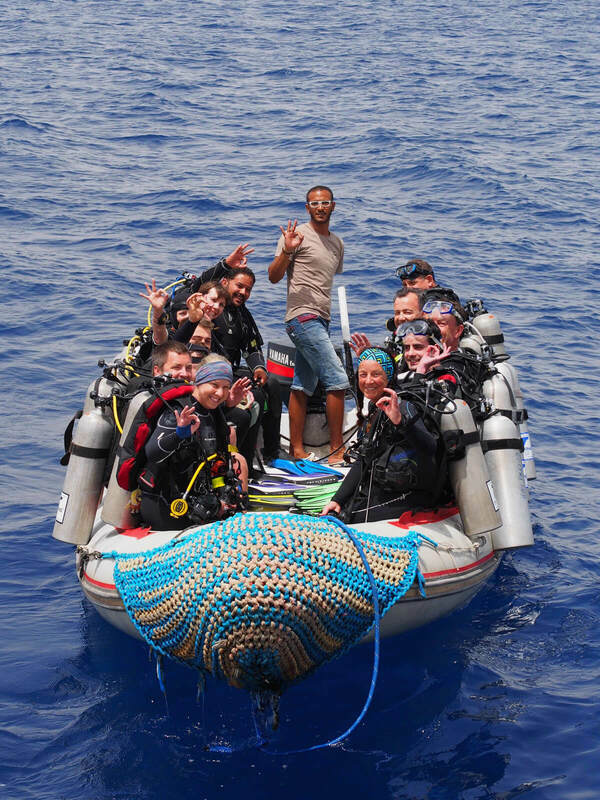 Luckily for us all the other divers from the other boats all headed to the northern top of the reef, so Yasser decided that we should dive from the boat and do the southern reef. 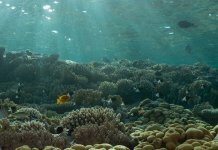 When we first jumped into the water I did think that the visibility was a bit bad but as soon as we came out over the platform at 20-35m and around the corner of the reef the visibility just became absolutely incredible. At 35m you could see the surface very clear and you could see far in all directions. After about half the dive had passed we had seen some pretty big napoleons and two barracudas but no sharks. But just as I had that thought a Hammerhead appeared from nowhere at 15m and started swim along with our group for a bit before disappearing out in the blue again. It later came back and hang out with us for a bit during our safety stop. The second dive was a repeat of the first one but unfortunately without any sharks. Still amazing visibility and completely flat sea though. During the second dive I had some slight ear problems and decided to not do the third dive (I wanted my ears to be ok for Elphinstone) , this might have been a bad move since the divers who did the third dive (Anemone city) had a fantastic dive with three Hammerheads. After this dive we left Daedalous for this time and set sail for Elphinstone. Suddenly the last day was upon us, and for us that meant Elphinstone time. 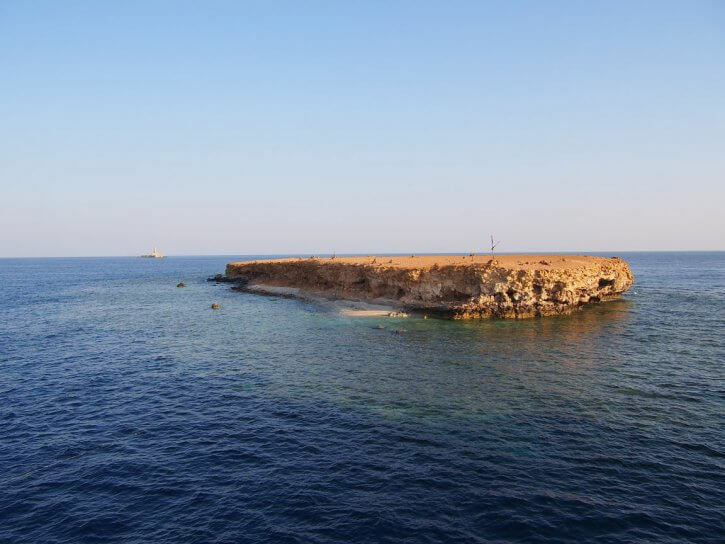 Elphinstone is just outside Marsa Alam and is a classic Red sea reef. It’s smaller than Daedalous and Brothers but what it lacks in size it makes up for in biodiversity. Our first dive was to dive on the northern plateau and hopefully we would see sharks. Unfortunately we did not see any sharks this time but instead we saw turtle, moray, shoals, stone fish and much more. So despite missing out on the sharks we still came up with smiles on our faces. After this dive there was a dive on the southern plateau that I unfortunately had to miss out on, which was a shame since it was the last dive of the trip and after that it was time for the boat to head back to port. Our week of marvellous diving had come to an end, but most of us are already looking at coming back. Looking back I think this was one of my best Red Sea weeks ever. Seeing Hammerheads, White tips, Silkies, reef sharks and Dolphins is exactly what Shark Quest is all about. Add to that one day alone at brothers and one day alone at Daedalous with flat seas and it’s easy to see why I was blown away. This truly was a week that I will remember for a long time, if not forever.